It has been a whirlwind week since I left St. Louis for Antarctica. St. Louis to LA, LA to Sydney, Sydney to Christchurch, Christchurch to McMurdo station. Planes, trains and automobiles. Moving from winter in the US to summer in New Zealand, crossing from the northern hemisphere to the southern, 3 continents, many airport coffees and lots of music. Never living the 31st of December (I crossed the dateline on my flight from LA to Sydney) I managed to "celebrate" New Year's eve by texting with my family back in Ireland on my 8 hour layover in Sydney airport (the benefit of being ahead a day). Arriving in Christchurch at 2am, taking the same shuttle service like my previous trip to the same hotel again, I was almost expecting to get the exact same room to really make things surreal. 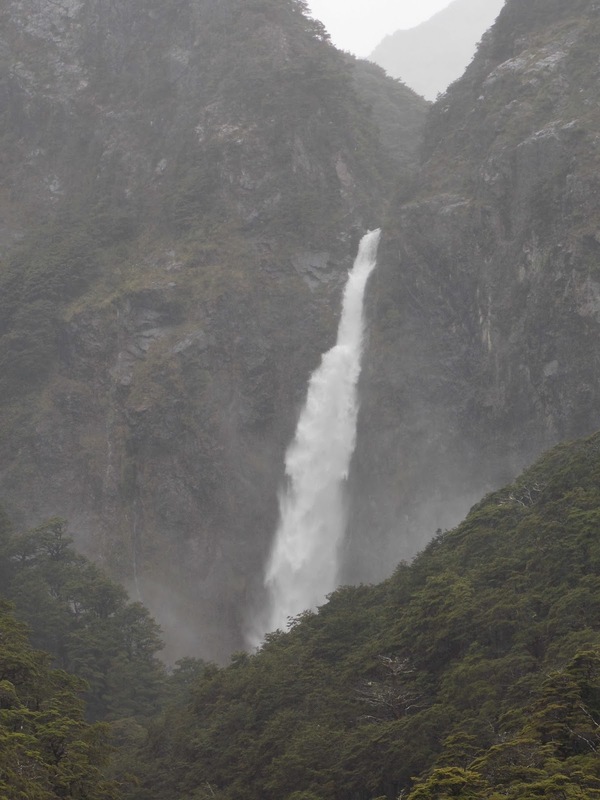 I rendezvoused with Thomas, John and Grant the following morning and since our flight to McMurdo on January 3rd was cancelled due to poor weather in Christchurch (high winds) we used the opportunity to visit Arthur's pass (about a 2.5 hour drive away). I never went to the New Zealand countryside on my previous trip and I can say I certainly wasn't disappointed. 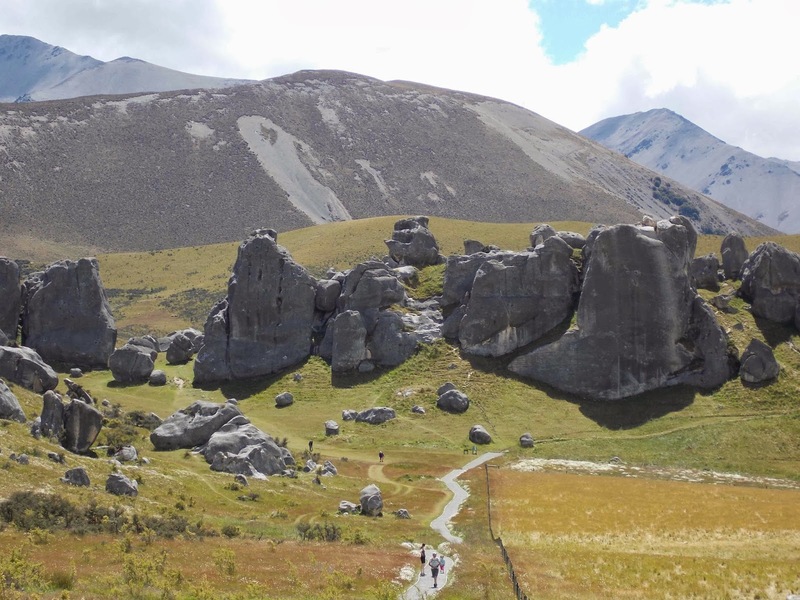 John Mitchell drove us through the stunning Southern Alps where we stopped now and then to sample the sights and sounds of the New Zealand outdoors. Sacred Maori caves, limestone outcrops like castles, from beautiful sunshine to torrential rainfall and spectacular waterfalls ... along with lots and lots of sheep. I soaked it all in as much as I could with my jet-lag nagging at me to sleep, because I knew that this was not an opportunity that comes often. 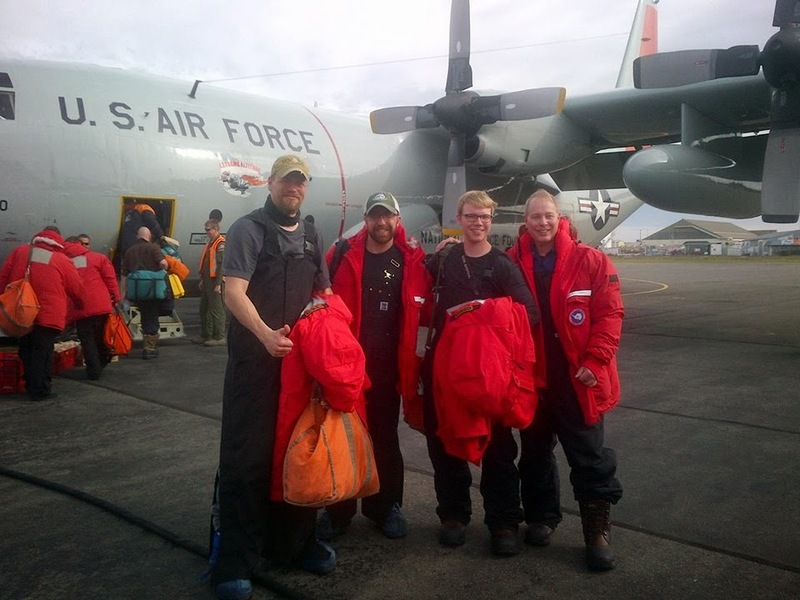 Once we returned from our day-trip it was time to get re-packed and ready for the flight to McMurdo. We were leaving the hotel at 630am for check-in at the US Antarctic Program (USAP) center, so I can't claim I got a nice lie in. Acting on semi auto-pilot, next thing I know I am waiting in the "departure" lounge watching NBA basketball (on the US armed forces network no less) along with several introduction videos to life in Antarctica (take home message: don't harass the penguins). The waiting room ... sports provided free of charge. The SuperTIGER recovery team (science), from left: Thomas Hams, John E Ward, Grant Mitchell, John Mitchell. Photo provided by Thomas Hams. 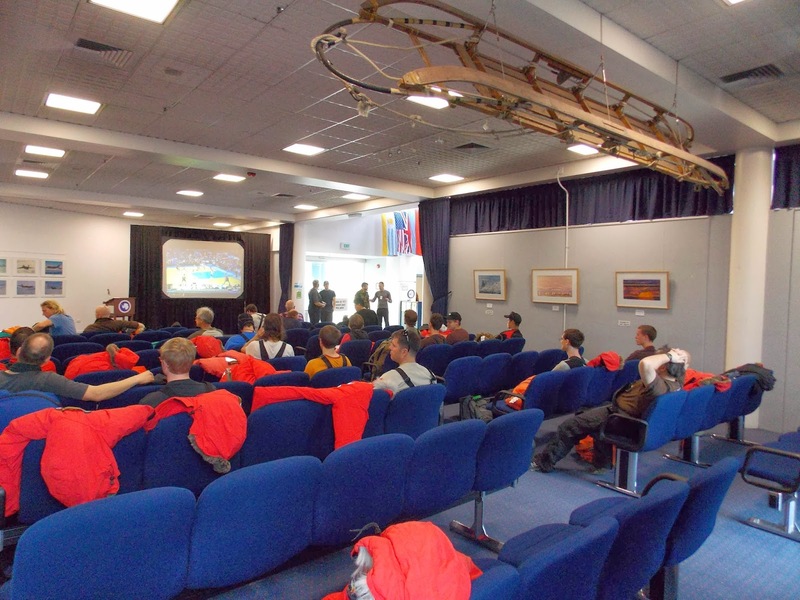 The LC-130 flight to McMurdo station take over 8 hours. Things are loud enough that you need to wear ear-protection constantly, so conversation is limited to say the least. I read, slept, listened to music and ate our provided lunch (sandwiches, crisps, bars and an apple). I was surprised at how fast the time passed and before I knew it I saw people begin to stir and excitedly look out the windows and photograph. I knew what this meant ... Antarctica was in sight. I looked out my nearest window and saw we were coming in over the Ross ice shelf (which had started to break up), that feeling of visiting an alien world had returned again. I was really coming back.